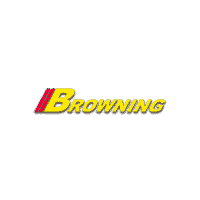 Offer Expires 04/21/2019 at 10:00 p.m.
Scores 22 Highway MPG and 14 City MPG! 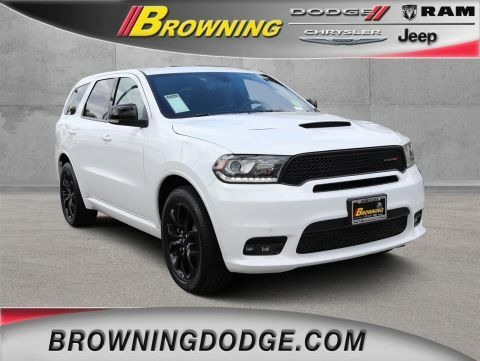 This Dodge Durango boasts a Regular Unleaded V-8 5.7 L/345 engine powering this Automatic transmission. 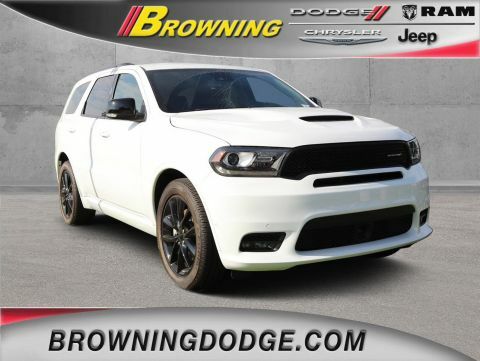 WHEELS: 20 X 8.0 HIGH GLOSS BLACK ALUMINUM, VICE WHITE, TRANSMISSION: 8-SPEED AUTOMATIC (8HP70) (STD). 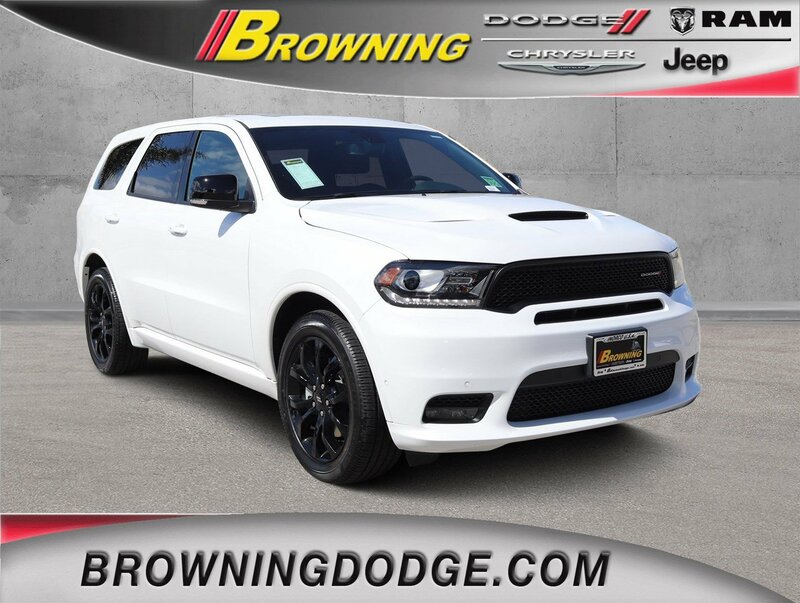 * This Dodge Durango Features the Following Options *QUICK ORDER PACKAGE 22S -inc: Engine: 5.7L V8 HEMI MDS VVT, Transmission: 8-Speed Automatic (8HP70), BLACKTOP PACKAGE -inc: Wheels: 20 x 8.0 High Gloss Black Aluminum, Gloss Black Badges, Gloss Black Exterior Mirrors , TRAILER TOW GROUP IV -inc: Rear Load Leveling Suspension, Trailer Brake Control, 7 & 4 Pin Wiring Harness, Class IV Receiver Hitch, TIRES: 265/50R20 BSW AS LRR (STD), POWER SUNROOF, MANUFACTURER'S STATEMENT OF ORIGIN, FULL SIZE SPARE TIRE, FRONT LICENSE PLATE BRACKET, ENGINE: 5.7L V8 HEMI MDS VVT (STD), BLACK, LEATHER TRIMMED BUCKET SEATS (ML) -inc: suede headliner, Ventilated Front Seats, Tungsten Interior Accent Stitching, #5 Seat Foam Cushion. 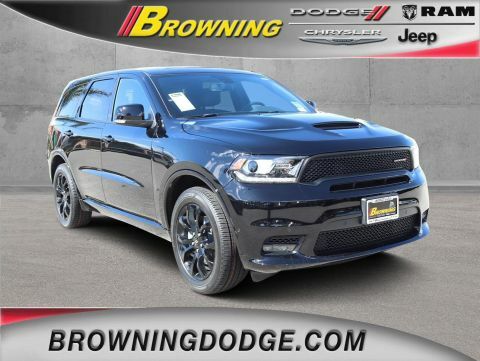 * Visit Us Today *Come in for a quick visit at Browning Dodge Chrysler Jeep, 1983 Hamner Ave, Norco, CA 92860 to claim your Dodge Durango!